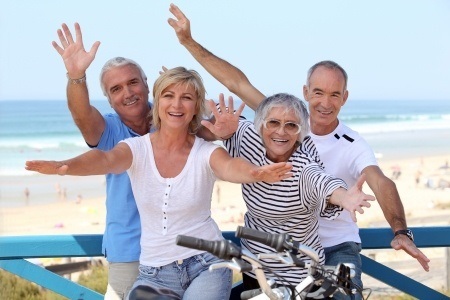 Some of the best senior fitness programs are not held at the gym. In fact, you don’t have to leave your house to increase your activity level, improve your strength and flexibility, and support your mobility. 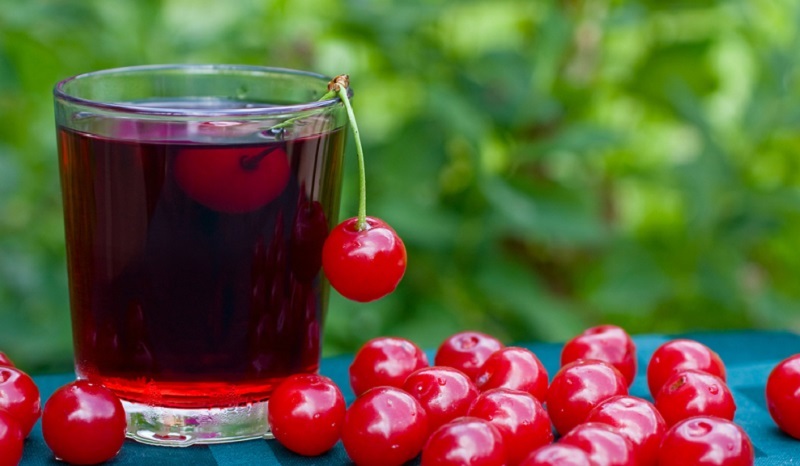 If your doctor is begging you to get off the couch or you’re just looking for new ways to stay fit, there are some great at-home workout programs that will help you reach your fitness goals at any age. 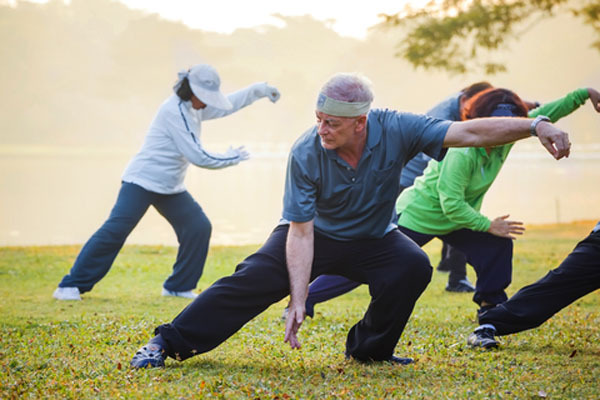 This is a 90-day program that teaches authentic Tai Chi movements at a slow pace. You can expect to strengthen your muscles, improve your flexibility, and reduce your risk for injuries in daily life while learning one of the most exciting forms of martial arts. 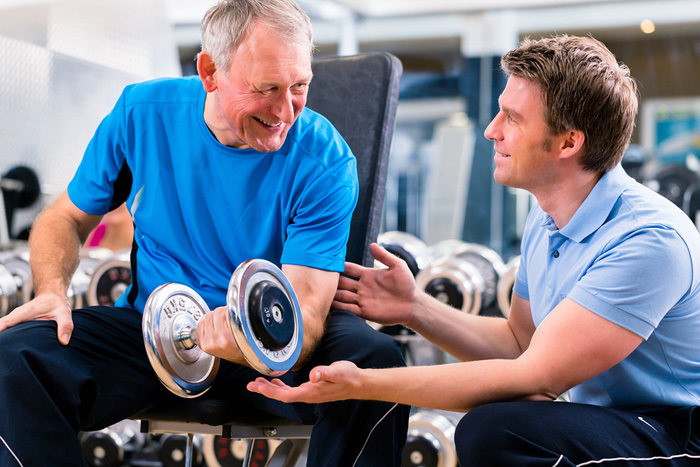 This is perfect for seniors who want to immerse themselves in a longer program that allows them to gradually improve on basic fitness skills. If you’re an Amazon Prime member, you can buy Tai Cheng on Amazon without getting tangled up with a Beachbody distributor program. This website offers short videos that explain how to do stretches and strength training moves that are safe for senior citizens. The best part is that these videos are free. You can also buy DVDs if you enjoy the instructors and don’t want to stream your workouts through a computer, tablet, or another smart device. Do you want more online workouts that won’t cost you a dime? Search for “senior citizen workouts,” “chair workouts,” and other related terms on YouTube. 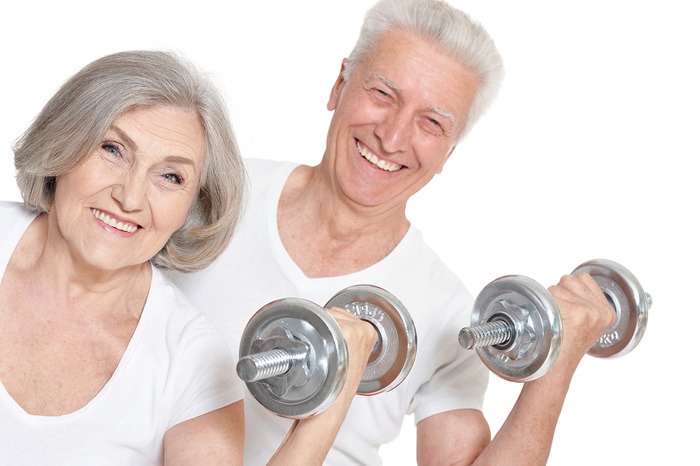 You’ll find a variety of the best senior fitness programs and workouts suitable for senior citizens. Leslie Sansone is the master of at-home walking, and she has some fun DVDs that will help walkers of all ages get in their steps without leaving their homes. Beginners can choose the one-mile workouts or some of the easy-walk workouts. Seniors starting out with a higher level of fitness can go for brisker walks of two to five miles. Some workout also include light strength training, and the Ultimate Collection even comes with a free exercise band. What About Fitness Streaming Services? Fitness streaming services like Daily Burn and iBodyFit can offer some of the best senior fitness programs, but the workouts aren’t typically created just for seniors. Each user must look through the programs to find workouts that may suit their current level of physical fitness. 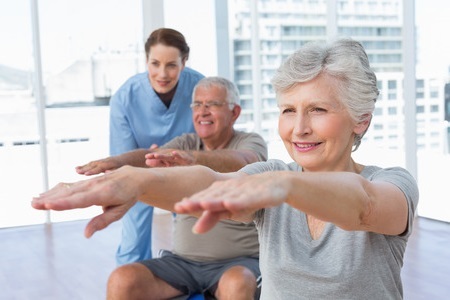 Daily Burn offers yoga and Pilates workouts that are often suitable for beginners and older adults, and there is a beginner’s program as well. These are high-quality workouts from high-caliber trainers that are reflective of the classes you might attend at an upscale health club or gym. 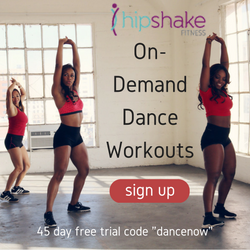 Beachbody On Demand is another option because there are hundreds of workouts to choose from, and some of the leading fitness trainers are represented. Their 10-minute workouts and dance-based fitness programs may appeal to many fun-loving senior citizens. Are you excited to add a little dancing, strength training, or flexibility training into your daily life? Pick up one of these workouts and get in shape without leaving your home.